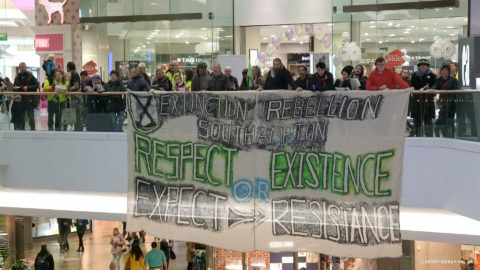 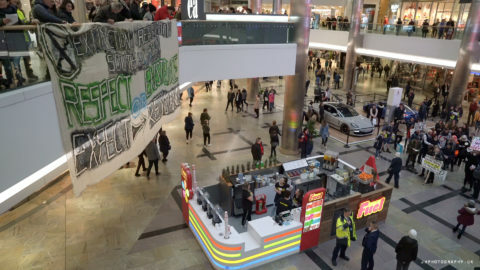 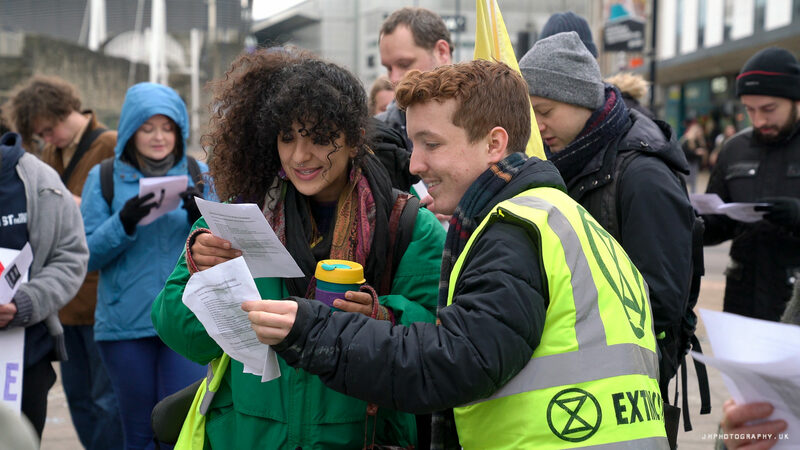 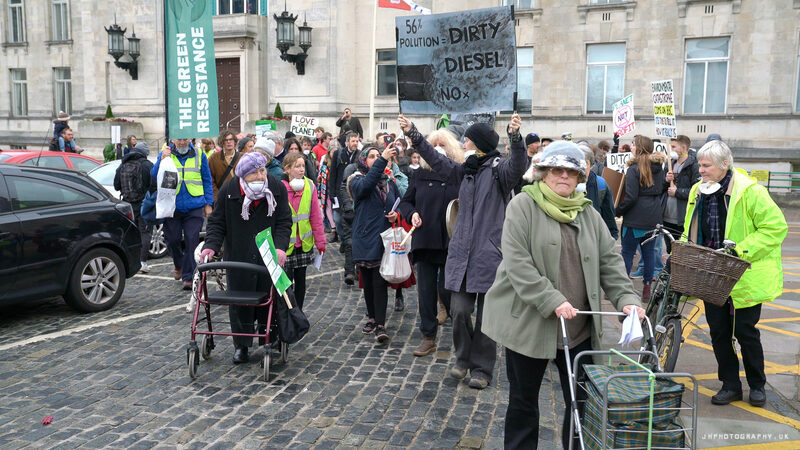 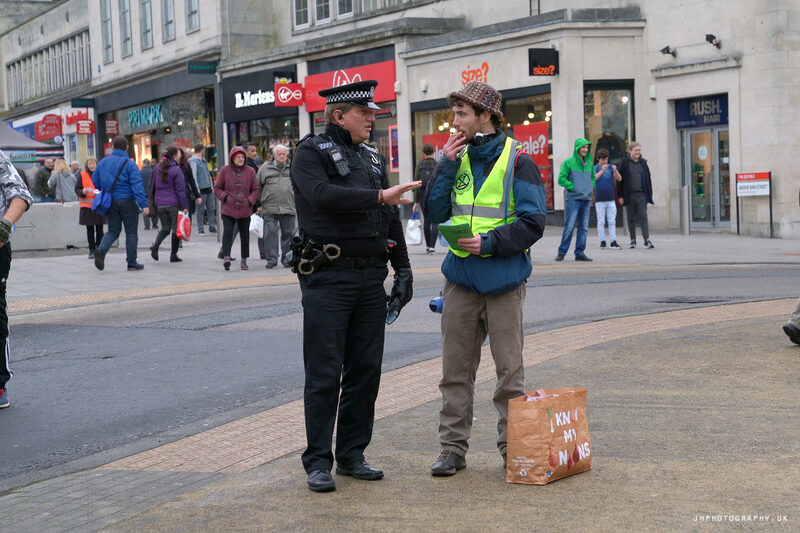 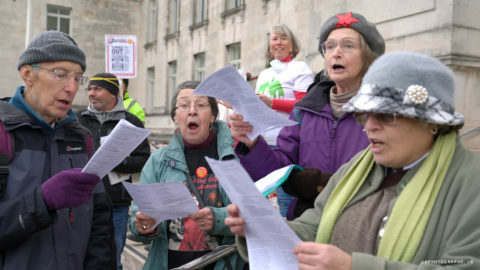 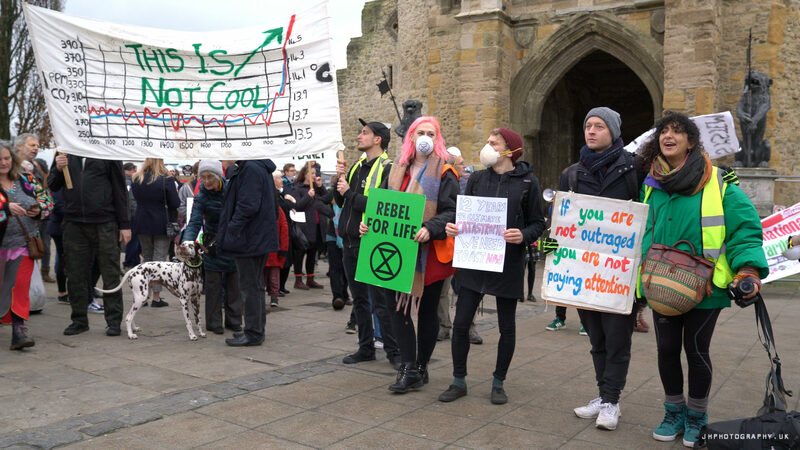 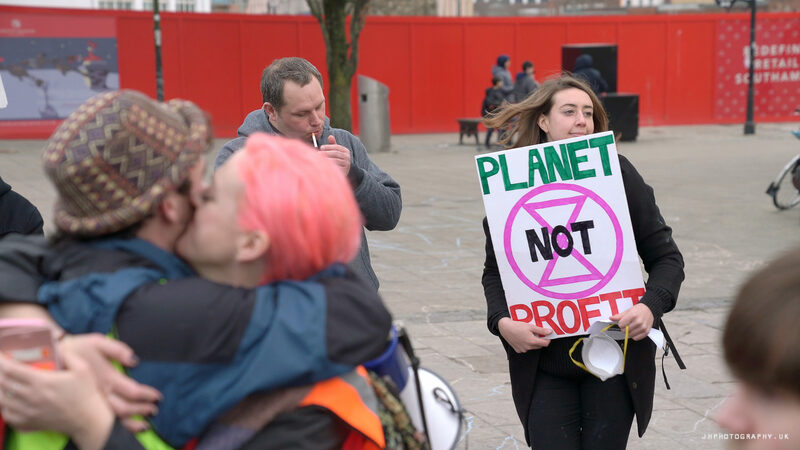 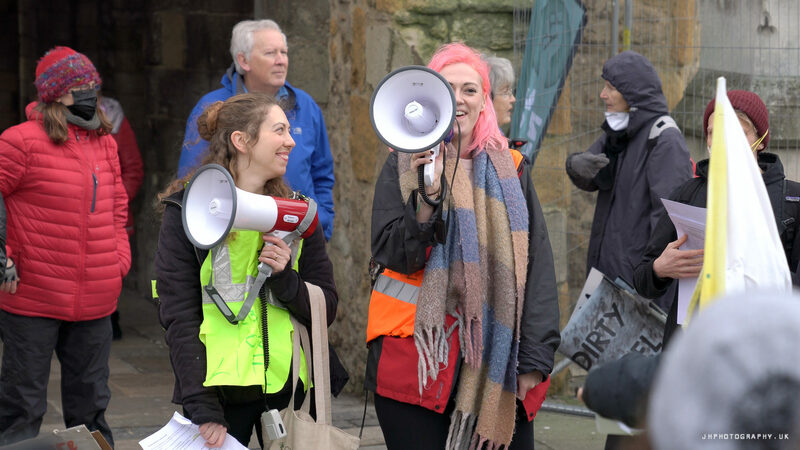 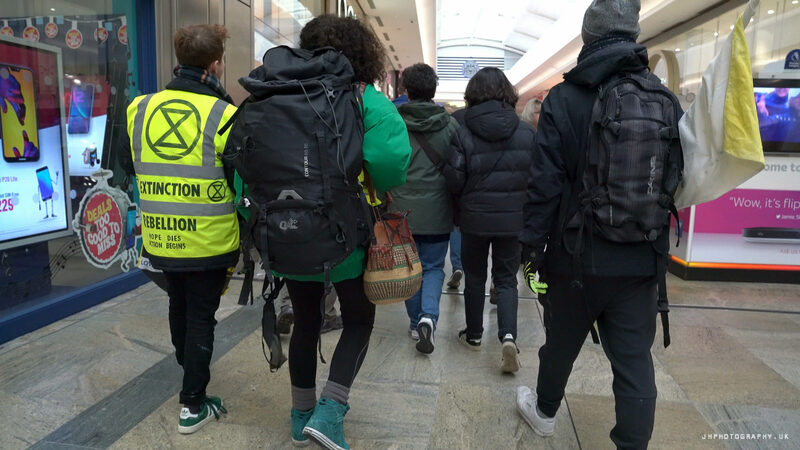 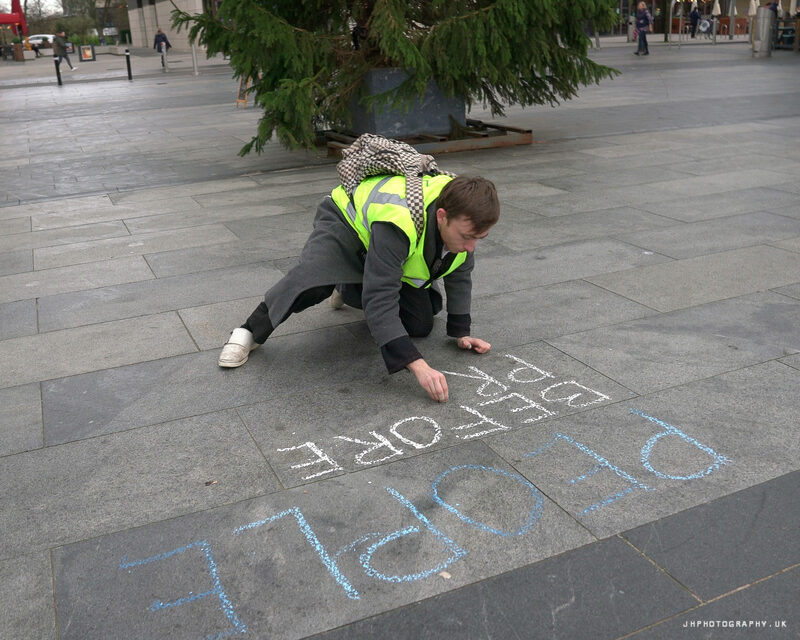 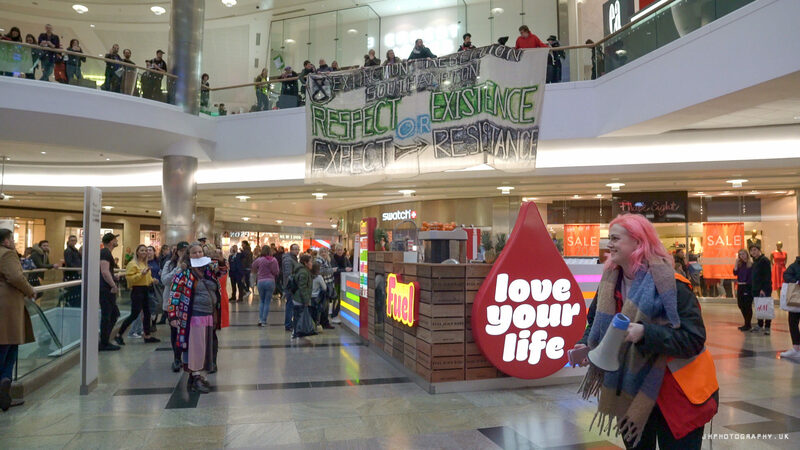 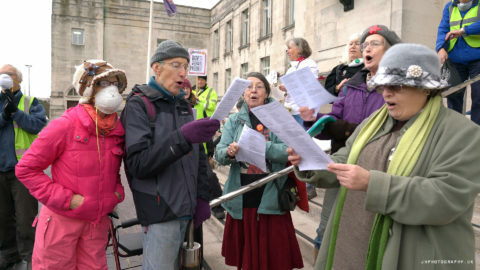 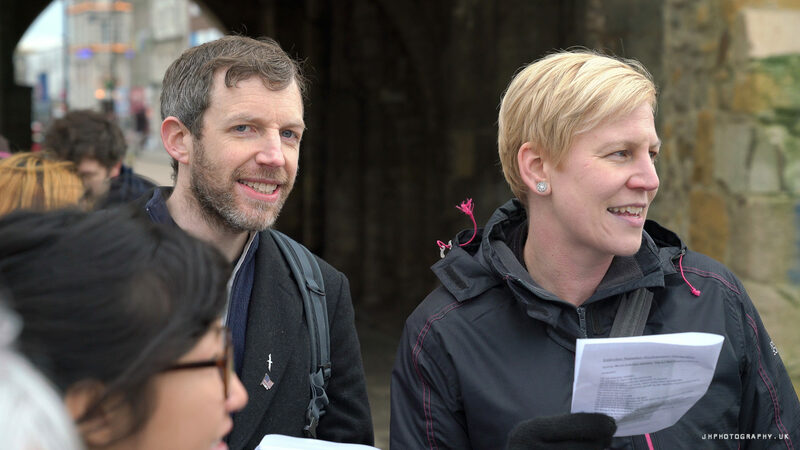 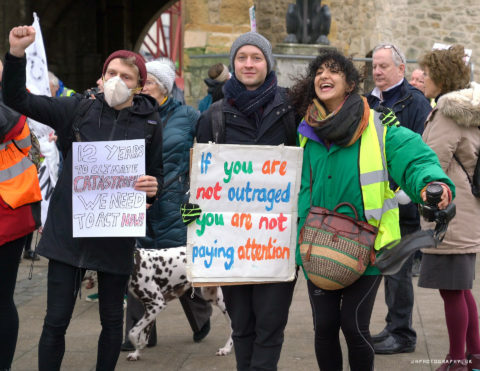 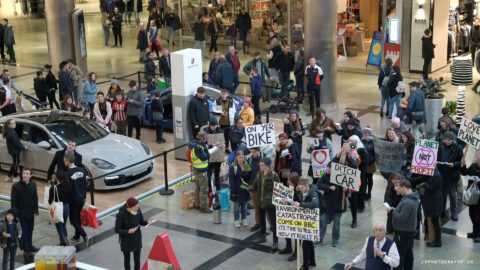 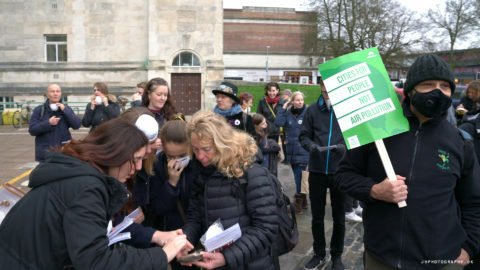 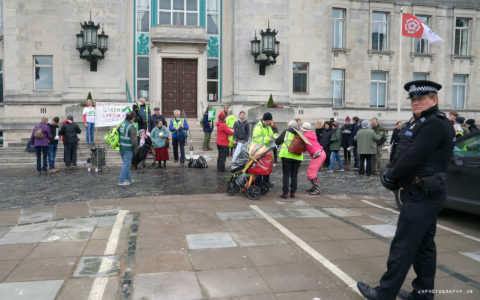 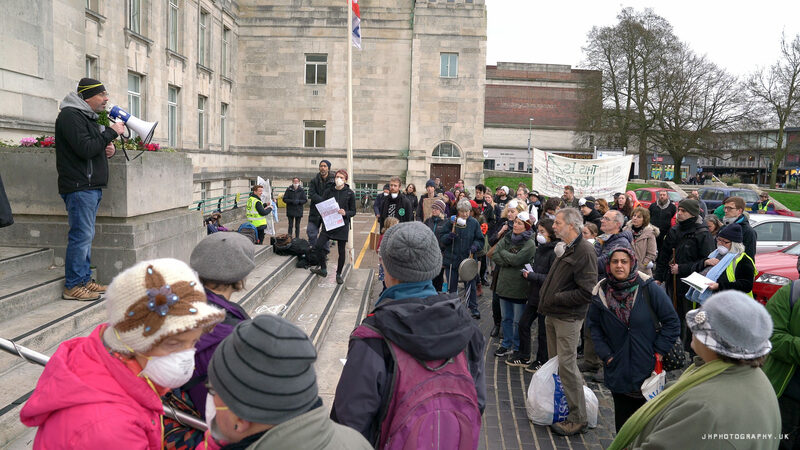 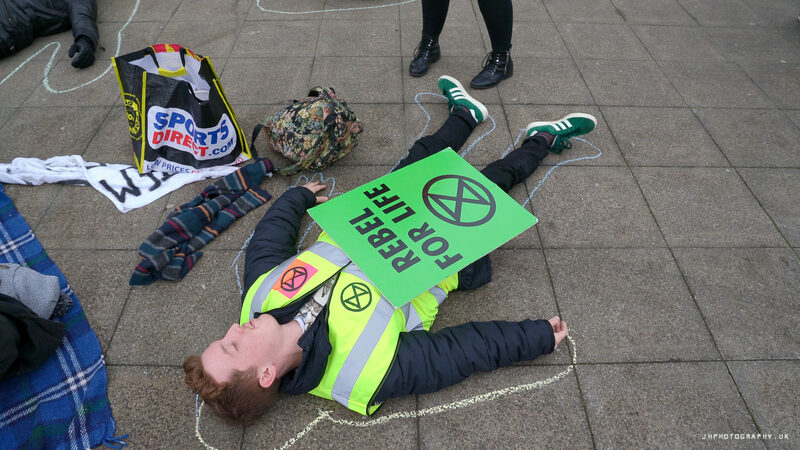 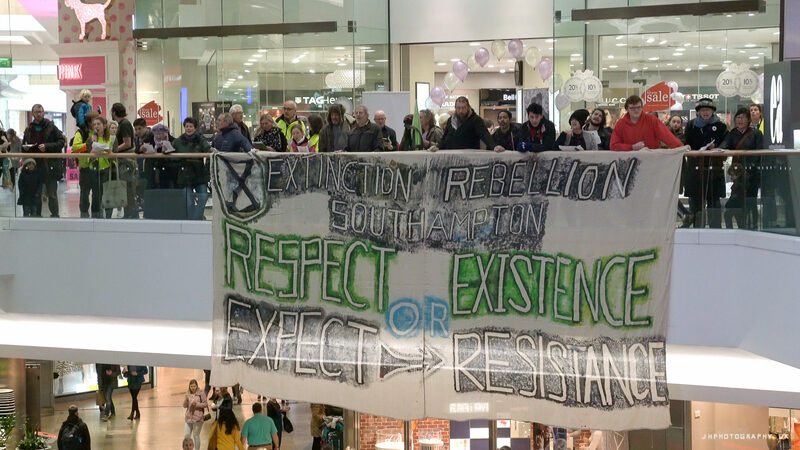 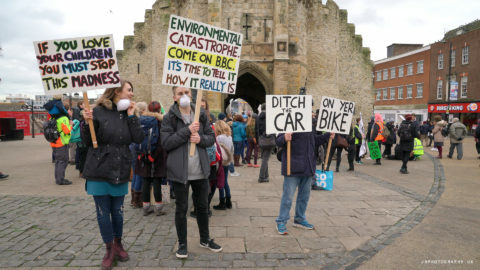 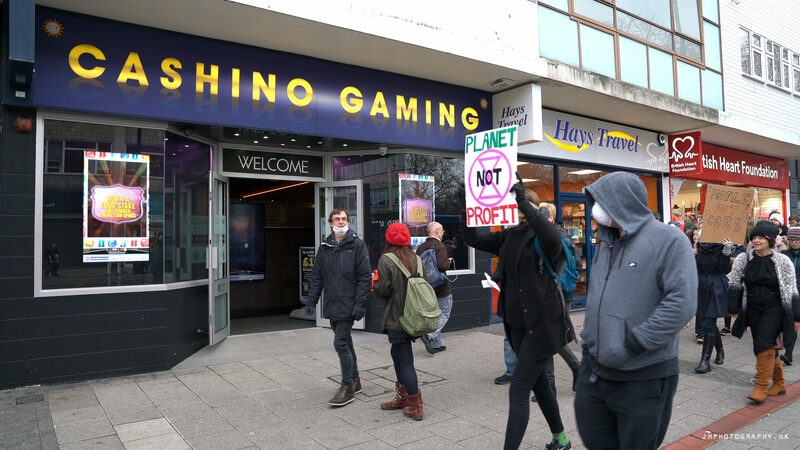 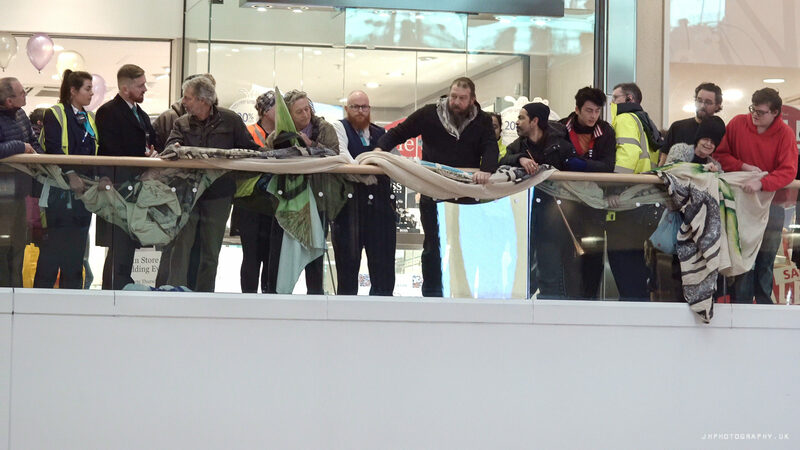 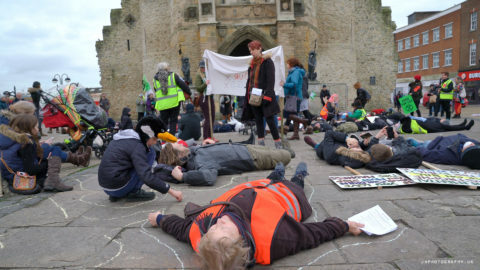 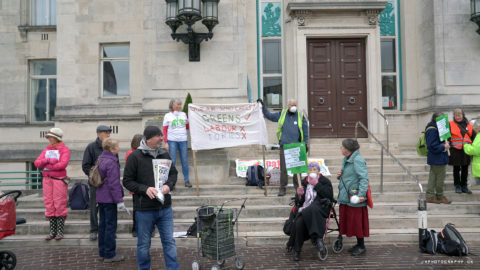 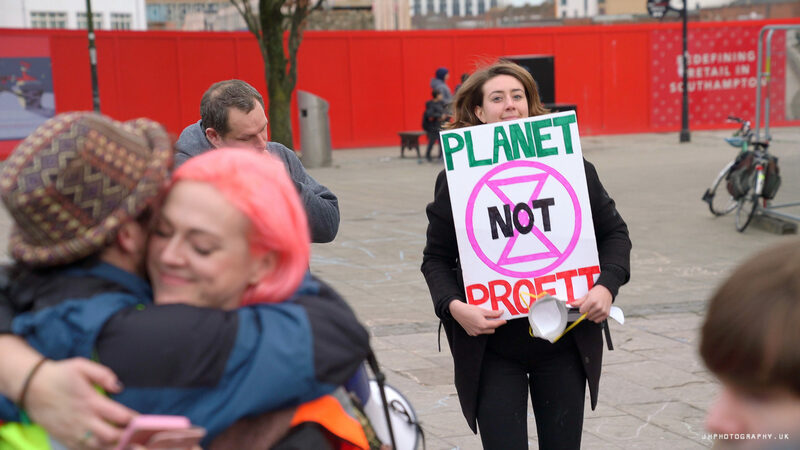 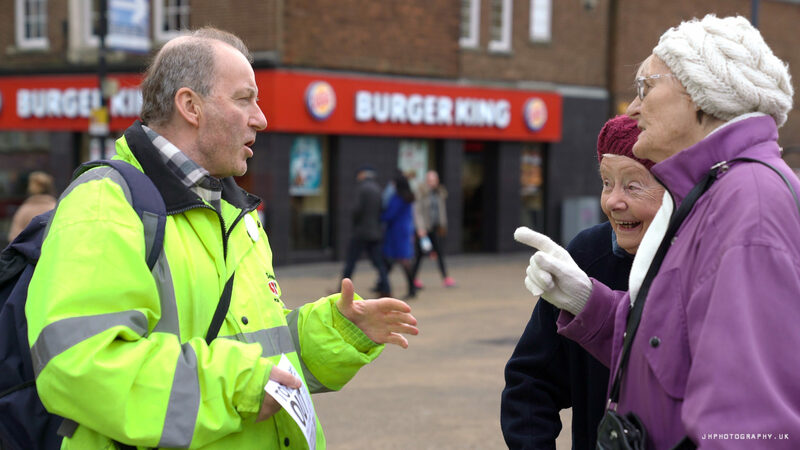 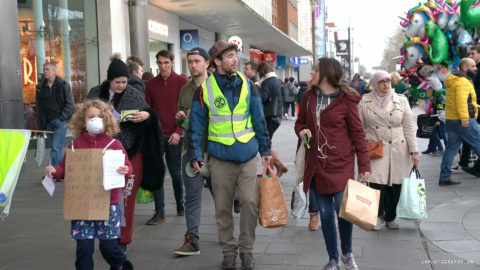 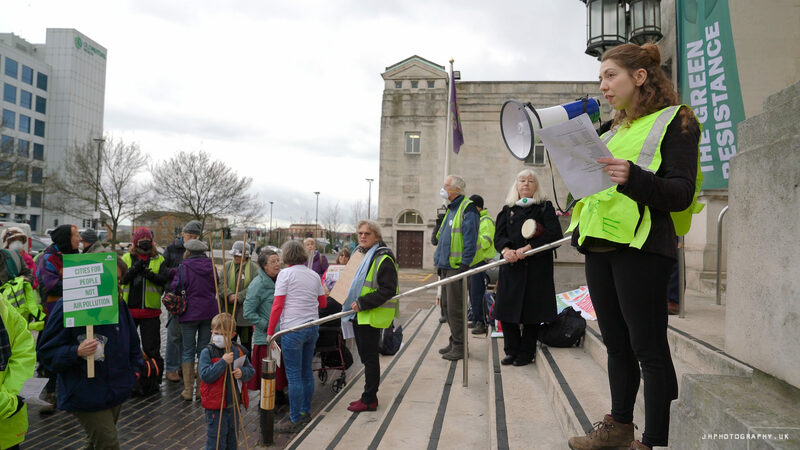 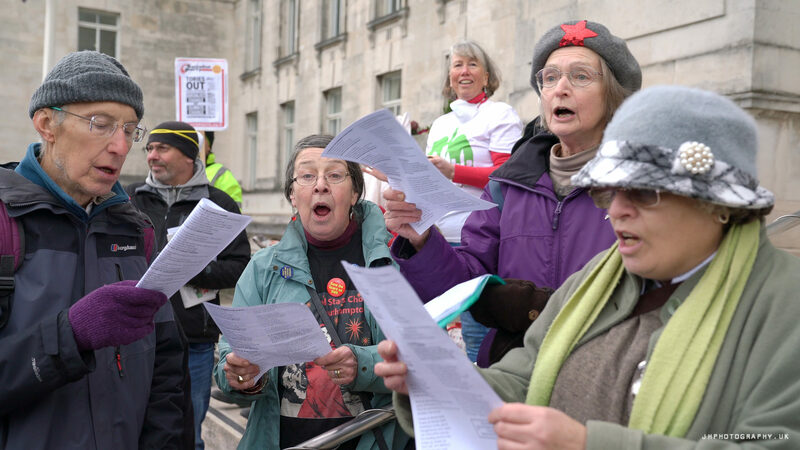 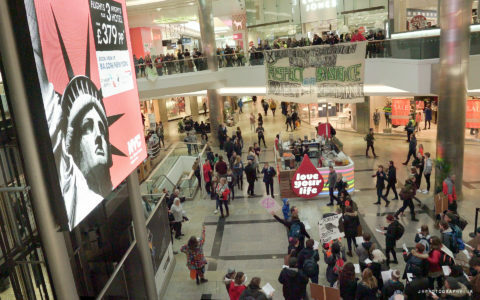 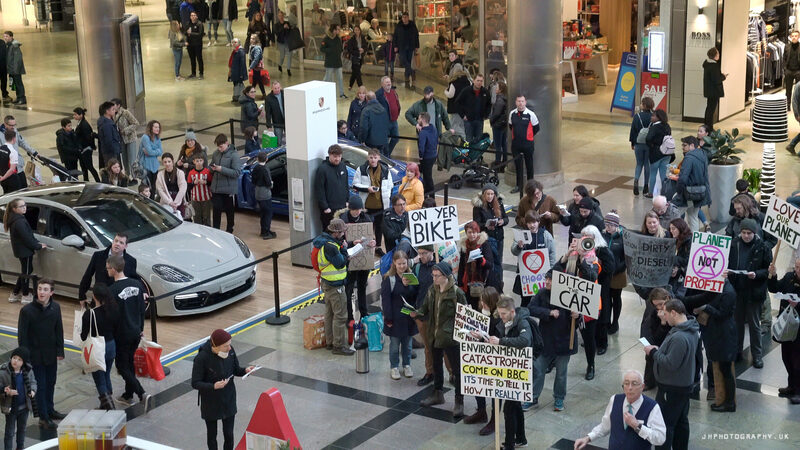 Several months in the making, the Southampton affinity group for Extinction Rebellion (XR) joined with other local groups, The Green Resistance and Friends of the Earth Southampton to put on a 3 part action in the city centre. 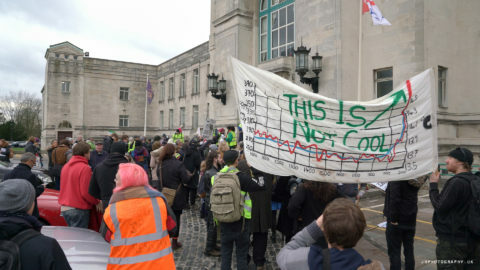 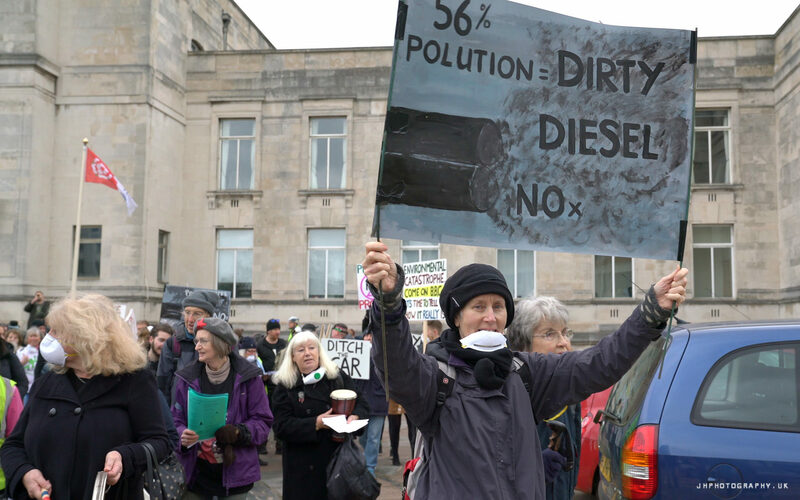 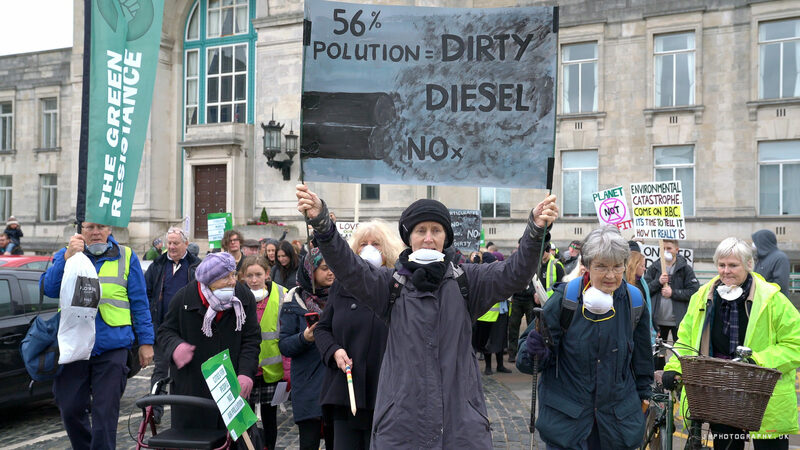 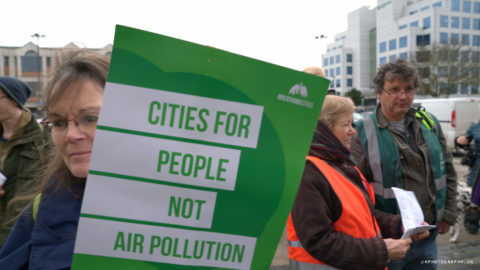 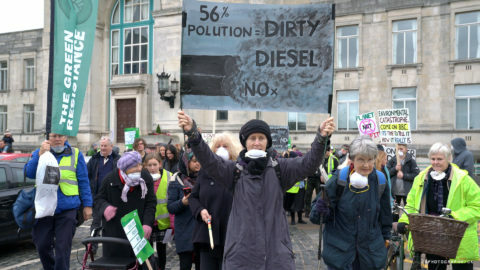 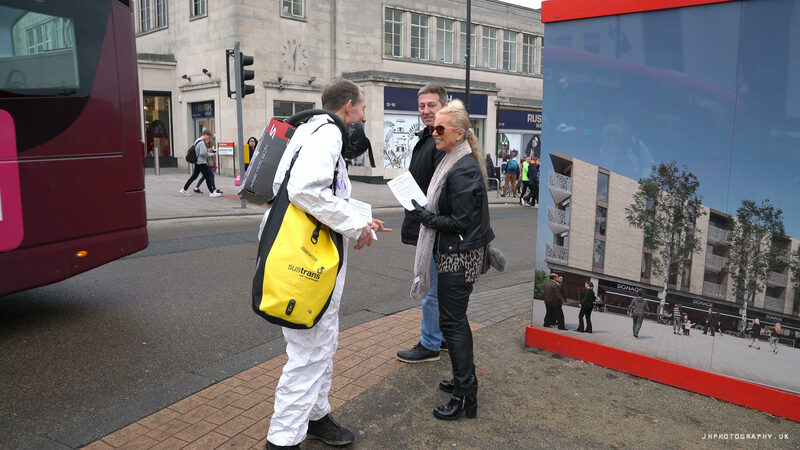 Aside from the main theme of XR there was focus was on the need for cleaner air in Southampton, as the council are the in process of finalizing their policy of that in the coming days. The turnout consisted of the usual broad mix of people at demonstrations for causes that affect, well, just about everyone; families the children, professionals, the retired and students, with plenty of passers by stopping to find out what was going on and some joining in. The atmosphere was high spirited and friendly, while inevitably carrying some of the looming severity of the issues at hand. 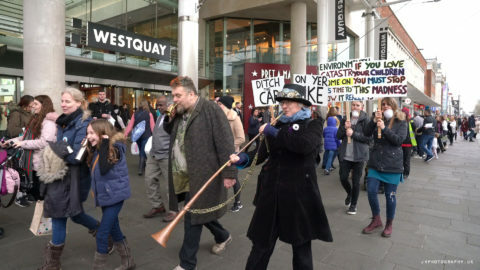 Predictably enough, the final demonstration in West Quay shopping centre, while popular with the shopping crowds who seemed to enjoy the spectacle, not so much with security. I suppose they at least wanted to be seen to be doing their jobs of securing the shopping activity of the shoppers. 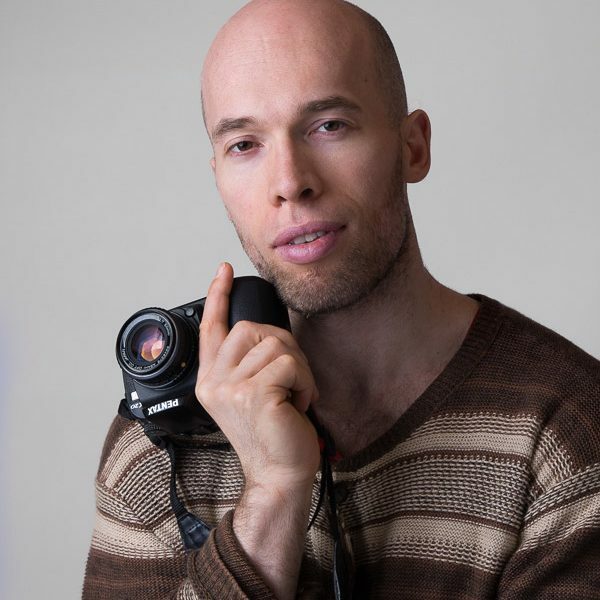 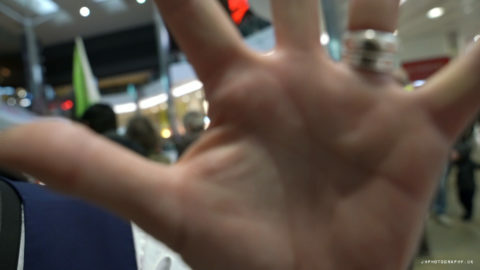 I had my lens blocked and warned to stop filming, as you’ll see in the film I made. They also pulled up the large banner. 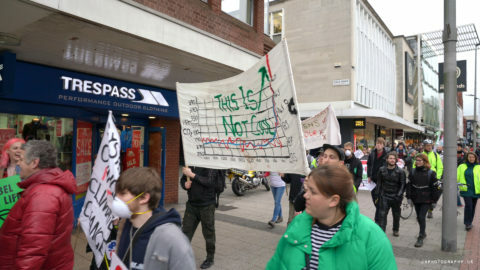 But they gave up in the end, perhaps realizing the the protest would be over sooner if they let it run its course. 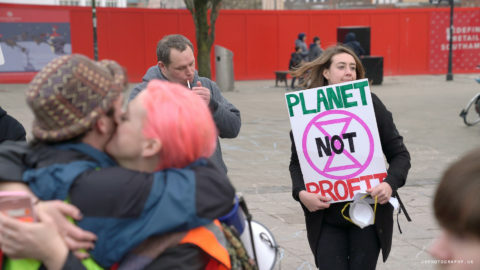 The day ended with hugs and drinks. I was happy to be a part of it and also happy that I managed to edit the film in a somewhat reasonable time. 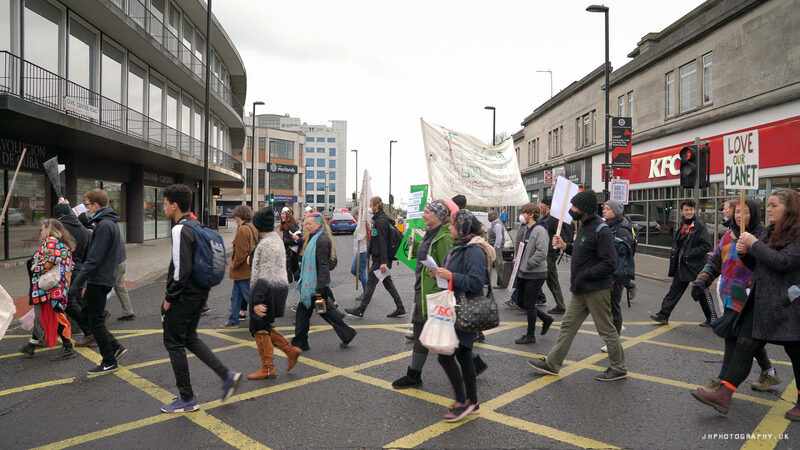 And here is a collection of stills from the footage I got from the day.